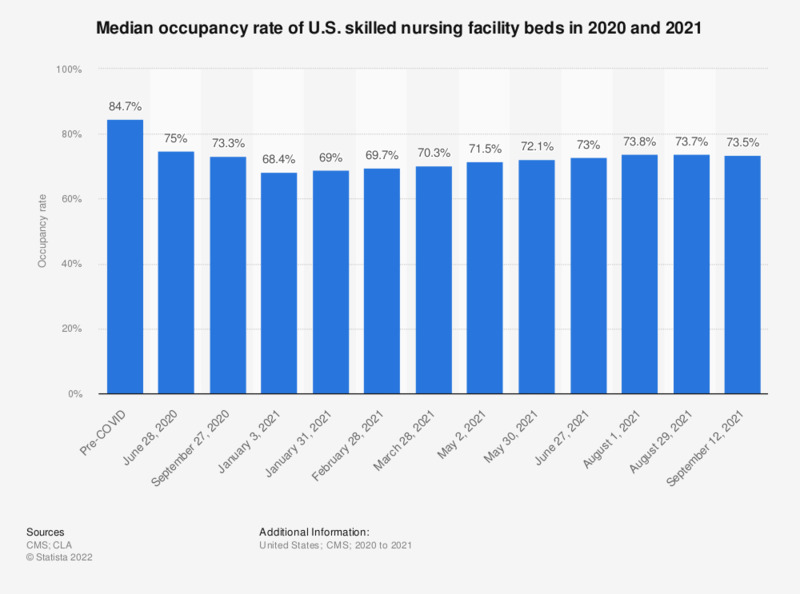 This statistic shows the median occupancy percentage for beds in skilled nursing facilities in the United States in 2014 and 2017. According to the data, in 2014 the occupancy percentage was 86.9 percent and in 2017 it was 84.9 percent. * Occupancy percentage is defined as the number of resident days over the facility beds multiplied by 365.